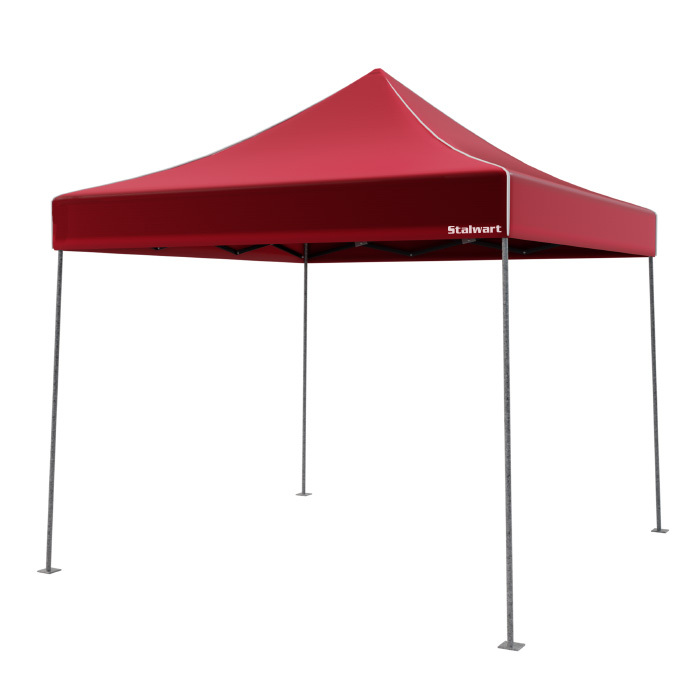 Make any outdoor party or gathering a relaxing one by bringing along the Stalwart Canopy Tent Outdoor Shade. 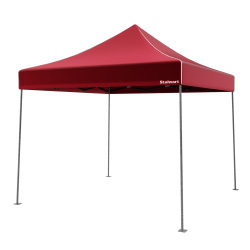 This sun shelter is easy to pop up and take down wherever needed, offers an open wall construction for optimal view and ventilation, and features water repellent material. The convenient carrying case makes storage and transport a breeze, while the instant set up that takes just seconds- keeping your outdoor time spent enjoying the company of your friends or family! 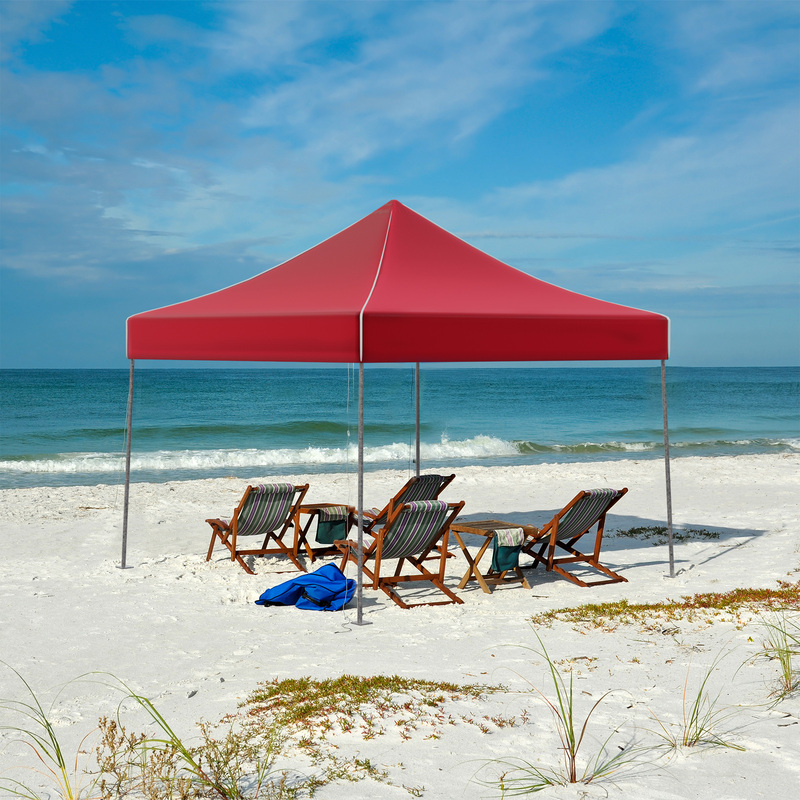 PROTECTIVE SUN SHELTER- This tent is made of 800D Oxford fabric to protect you and your family from harmful sun rays while at the beach or outside. It is also water repellent to ensure water won’t leak into the tent for a fun and dry experience! 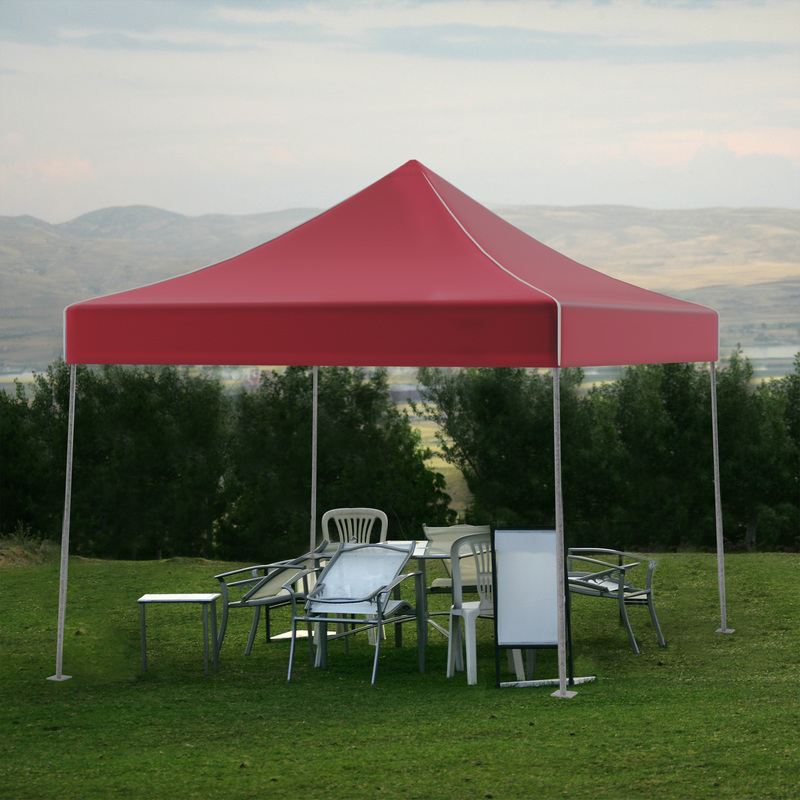 SETS UP IN SECONDS- The instant setup with the accordion style steel frame provides a hassle-free option for up to 100 square feet of shade. When you are finished, simply place the tent pieces into the included carrying bag to easily transport or store. CONVENIENT FEATURES- The stainless-steel poles stabilize the tent against wind open design provides ventilation and transparency, perfect for promotional events or large parties. The height can also be adjusted in 4 ways: 67”, 71.5”, 74”, and 78”. 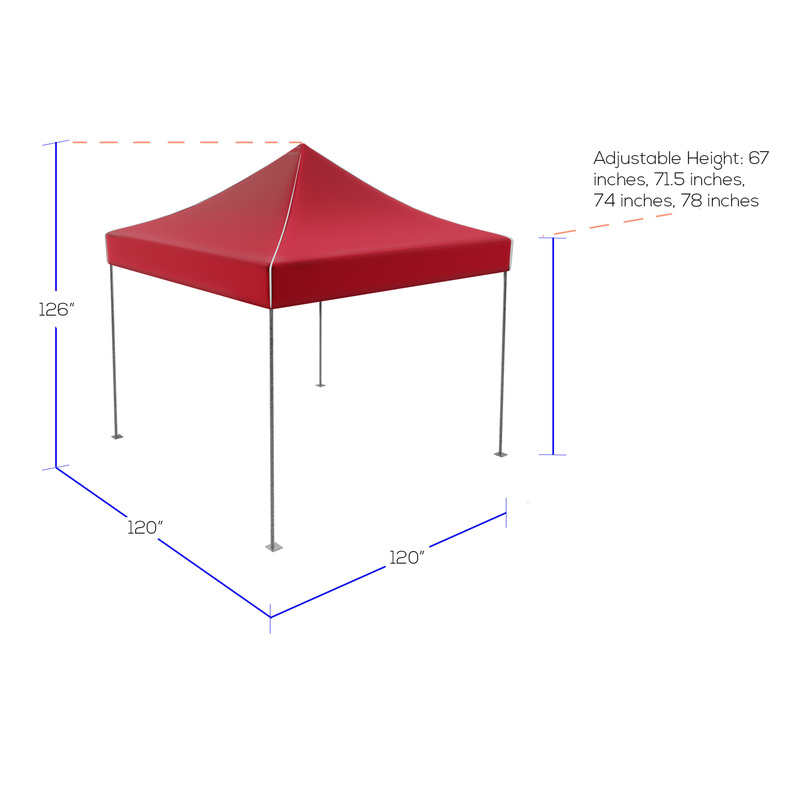 MULTIUSE TENT- More than just a party tent, this lightweight canopy is ideal to provide protection for outdoor sporting parties, fishing, camping, a day at the park and more! It even doubles as a perfect cover as a temporary car port or patio shade. PRODUCT DETAILS- Dimensions: 126” (H) x 120” (W) x 120” (D). Height to peak of tent: 126”. Material 800D Oxford Fabric. Water Repellent. Includes tent, carrying bag, and accordion style frame. Color: Red. Collapsed dimensions: 6.75” x 7” x 57”.